A complete service of technical assistance and spare parts ensures a long and economical operation for the products. The service structure is local and is available at any time and place, without depending upon international travel. We also offer inspection services for maintenance with complete study of equipment requirements. To ensure a long and economical life for the products, we make available the services of follow-up of production and performance of the equipment, with scheduled visits, when all the reasons for income losses are indicated, with generation of an action plan and its follow-up to resolve the problems. As a complement, we also offer technical training programs focusing upon operation and maintenance, with theoretical and practical lessons. At the end of the course performance is evaluated, with a certificate issued for those approved and a management report. Preventive and corrective maintenance in equipment. Changes in the industrial plant, with movement of equipment, involving the planning of production stoppage, disassembly, maintenance with analysis of components, reconditioning or replacement of parts, travel, assembly, start-up and staff training. Training of update and improvement for managers, supervisors of production, maintenance and operators, looking at principles of functioning of operation, maintenance, cleaning, lubrication, failure simulation and technical data. Equipment in a good state of preservation can add the technological advances of Liess, coming to have the performance of a new product. 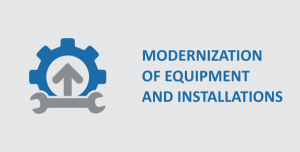 The upgrade packages developed allow an increase in the useful life of old equipment, improving the yield, reducing the maintenance cost, diminishing operating expenses and the consumption of utilities and updating technology with a lower investment. 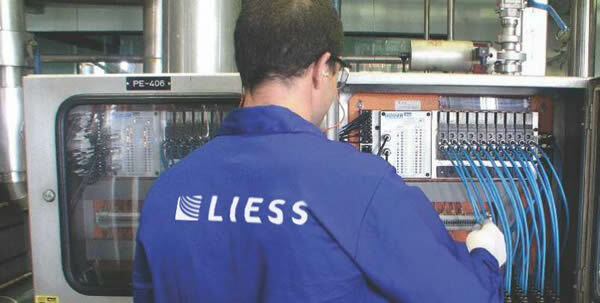 The Liess team is available to evaluate equipment and processes, studying demand and technical and economic feasibility, always focusing upon the result expected by the customer.